If asked about my guitar playing, I would say, “Still learning, but getting better”. Guitar is one of those things that I would love to master, but I’m happy being the guy who fiddles with it and keeps trying. I’m in the middle of finishing an original Christmas song right now. My goal is to unveil my “masterpiece” by the beginning of November. I was originally shooting for end of October, but changes in my day to day routine have move that date. Honestly, only a few days ago, my answer would’ve been not this year. Why the change? I tried. I started to work on the guitar tracks again. This time I kept at it instead of giving up on the first few attempts. I was able to finish most of the guitar tracks. My fingers started to hurt, due to lack of playing, so I stopped. I also started to learn a bit of slide. I had to use a cap from a case from a cheap set of reading glasses, but I did start! I bought a true slide today, doesn’t fit my giant sausage fingers. I’m going to try it tonight and see how I do. The Hollow Spirit stuff is coming along nicely. I employed my Fiancé and soon to be step daughter to add to the backing vocals. Dean also stepped forward and did a set. Hopefully, I’ll have some of those ready to be released by the end of the month as well. Author mfoersterPosted on October 21, 2015 Categories UncategorizedLeave a comment on Stay grounded, keep trying. I love documentaries, especially ones about the music and the industry. Last week I watched, 20 Feet from Stardom which is about back up singers. Some of them wanted or still want to be the star and others are simply happy being in the background boasting someone else’s career. I bring this up because a lot of people that I’ve been talking to or dealing with in music are pretty much under the impression that they will become famous once their music hits the internet. I wish that was true. Most people, including me, will never have the kind of stardom in our lives. We are going to be in the background having to make our living doing something else. I’m not trying to bring everyone down with this, but I am saying, make sure you have a backup plan if your dream fails. I did have a backup plan and I thank my parents for it. I’m also not saying, don’t try. If you fail, keep going. Try again. I personally LOVE recording / playing / producing! Just because it may never become a full time position for me doesn’t mean I’m simply going to stop. I’m in the middle of recording a Christmas song so that I can release it shortly. Will it go anywhere? Who knows. Does it matter to me? Not really. I wrote it, I want to finish it and let the world hear it. I think everyone should have this attitude, but keep it in perspective. There are a lot of talented people out there. There are a lot of beautiful people who want to be famous singers. If there wasn’t, shows like American Idol and The Voice wouldn’t have any contestants, but look at how many people try out for this and don’t get anywhere. Music is a hard business and it is luck if you get far. Even these amazing backup singers, who were already known in the industry sometimes didn’t get any further than being back up singers. Upstart bands — record yourself! As a musician, studio engineer and producer, I’ve heard a lot of different bands, be it in clubs, friend’s places, etc. One thing I can never stress enough is record a band rehearsal. Simple reason, all of us think we are sounding amazing when we are in the zone. You are playing along and hitting each note perfectly, but are you really as tight and great sounding as you think? To record yourself isn’t hard. When I was starting out, we used to record ourselves with a cassette deck and a $5.00 stereo microphone that I bought at Radio Shack (now The Source in Canada) You simply need something that’ll give you a decent enough sound to listen back later. Why do this? Because you want to hear what the audience would be hearing. There were times when I would play back something that in the moment thought was simply our best work and listened back and truly heard what was played and decided against it. It can also help mold the band into that tight sounding group we all want. Hearing yourself as a group will make you aware of what the other players are doing and playing. This process doesn’t work for everyone, some people’s hearing will distort what is being played and it will sound either amazing or poor to them. I’ve worked with people who simply focus on what they were playing and tune out what everyone else was playing and think it sounds amazing, yet, their part is either out of time or off key. Once I was able to break them of this, the band’s cohesion improved. Listen to yourself! Really listen! Do a proper sound check, record about a minute worth of a song, listen back and make sure you can hear all the instruments, then record some or all your songs. Make copies for each of you, with MP3’s now a days it is so easy! Take it with you and listen to it; through headphones; in your car; through your stereo. Take notes, what do you like, what needs improvement and what can be dropped. The next time you get together with the band, listen together and share your notes. You might not agree on everything, but at least you have a better understanding on what you sound like to the rest of the world. Author mfoersterPosted on September 1, 2015 August 30, 2015 Categories UncategorizedLeave a comment on Upstart bands — record yourself! Because of the great response from the releases. We are looking to make a video for Picture Window. 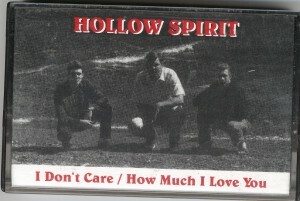 Since Dean and I started working on the old “Hollow Spirit” recordings again. We’ve been trying to get an 8-track reel to reel that we used tracked down to the new 32 track digital system I bought at the beginning of the year. This has become quite a chore and we are still looking to get this finished. I’ve currently contacted about 4 different locations in the area trying to find anyone who can help us. This is one of the reasons why I wanted to not use the old cassette 4-track for recording anymore. I was truly afraid that it would break down near the end of the completion of the recordings and I wouldn’t be able to get anything back. So back to my story; Most of the places that I have contacted don’t deal in reel to reel anymore and have gotten rid (updated) their systems. I didn’t find out the true problem that I am having until I spoke with a guy who has been in the business for about 30 years now. The problem is, our 1/2″ reel isn’t a standard professional recording system. The 1/2″ systems were made for personal use not professional use. This new found knowledge means that the only way to get this music copied, I will need to purchase my own player. Currently, that’s $1000+, too rich for me at the moment. Hopefully, at some point we will find someone who has one of these old 1/2″ reel to reels and we can finally get the music off the system and present it to all of you. Just read the following article: Musically Speaking: Talk the Talk – Walk the Walk. As someone who started by playing hard and trying to learn more, I agree with this. 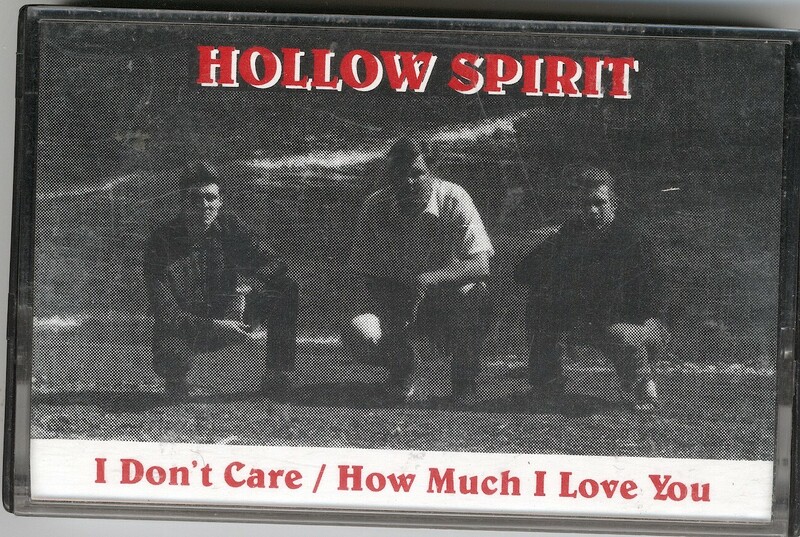 I’m currently working with my good friend Dean on recordings which started back around 1993 / 94, we aren’t too sure, but we know it is somewhere around there, when we were in a band called “Hollow Spirit” which included our friend Paul on drums. Most of these songs, I recorded with Don and Dane when we were in the band “Armslength” in 1996 / 97, which later became “For My Dear Friend” in 2013 when I finished and released the recordings. For me, finishing the Armslength recordings, was closer on a part of my life and also a rebirth. We are finishing off the Hollow Spirit recordings for the same reason. In these two recordings, I am pretty much the only constant. I played bass and sang with both bands and the end product is different, but the same. What is definitely different would be playing styles and end results with both versions of the songs. On the FMDF recordings, two songs Cold Black Sky and Standing in the Rain have the guitar work of Dean because Don hadn’t recorded any. I’ve had the pleasure of listening to both versions of the completed songs and started wondering how much different Cold Black Sky and Standing in the Rain would’ve sounded if Don had laid down some of his guitar playing. Even with Dean’s guitar work on these two songs, it is still a different drummer with his own interpretation of how the song should go. I’m not knocking one player over another, it is more the differences in style on the same songs that intrigues me. It is something that I’ve also enjoyed. I love listening to another band’s interpretation of a song, esp. if the band plays the song as if there wasn’t an original version. In this case, the only truly released versions of any of the songs were I Don’t Care and How Much I Love You on a cassette EP, if you have one, cool! To add to the confusion, these were recorded by another producer who had his own ideas of how the songs should be done. Maybe someday I will release the cassette versions of the two above songs on SoundCloud. For now, we’re going to finish the recordings and release them, slowly. New release and revised vocals! The nice thing about having a home studio is being able to go back and redo something that you didn’t like without it costing you anything. I took advantage of this a couple weeks back. The vocals for “Cold Black Sky” weren’t my best work, so I went back to redid them. “How Much I Love You” was written by Dean. We released it on a cassette single back in 1995. The original version, is on an 8-track which we don’t have a way to track down (at this moment). We decided just to re-do the entire song list. We have drums, we can go from there. This is the new version that we just finished about 2 weeks ago! Author mfoersterPosted on June 29, 2015 June 29, 2015 Categories UncategorizedLeave a comment on New release and revised vocals! I’ve been doing something that I haven’t done in a long time. Listening to indie music. I was out of the loop for so long that I didn’t bother to see what other artists were creating. I have to say, there is a lot of great music out there that isn’t in the mainstream and you owe it to yourself to check it out. I understand why indie music isn’t getting heard. There is too much of it and it is easier to turn on the radio and listen to whatever the radio stations pump out. Probably why I started to collect my own music that I enjoyed which wasn’t getting played on the air. If you are an indie artist, keep it up! It is tough to get noticed, but hopefully, one day, you will. I’ve had some type of “bug” in my throat for the past couple of weeks. Not sure what it is, but it is finally gone. I’m going to try and finish the vocals for ‘How Much I Love You’ and then Dean can put down his guitar solo. After working with Dean on our old Hollow Spirit work. I have released the Hollow Spirit version of Cold Black Sky on SoundCloud! When I was with Hollow Spirit, we did a Christmas party for the place that Dean worked at the time. For the party, I ended up writing a Christmas song. It has been rolling in my head for the past couple of weeks, and I think it is about time to record it and release it — later, of course, like November. It’ll be a funny, slightly country sounding song, but I think it will be enjoyable for all. Dean and I have been working pretty much every Tuesday night on completing our Hollow Spirit songs. We are currently working on Cold Black Sky. It is coming along quite nicely. It is great to have so many extra tracks to add / try different things without having to mix it down to be able to continue on. I’m working on releasing an early version of the song. Currently we have guitars / drums / bass and a very old (20ish me) vocal track. Once it is up, I’ll post it here. Author mfoersterPosted on April 14, 2015 April 30, 2015 Categories UncategorizedLeave a comment on Is it too early to think about Christmas?